Natural resources such as rivers, oceans, and soil are limited and we all share an obligation to preserve them for our future generations. In the world we live in today, we continue to place a burden on those resources through such practices as industrial manufacturing. It is essential that we preserve and protect our environment and our resources through reuse, recycling resources and reducing pollution. These can only be accomplished through monitoring by conducting massive amounts of measurements. To this end, Shimadzu provides a simple and accurate means of measuring samples so that recycling processes and manufacturing processes can be managed properly and responsibly. Many of the pharmaceuticals, food products, and other products we encounter can contain harmful elements, either introduced from natural sources or artificially through manufacturing processes. 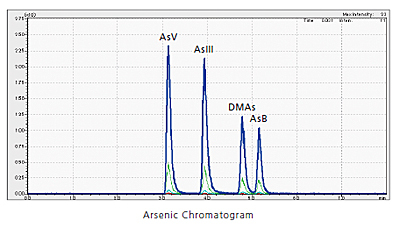 ICP-MS systems are able to quickly measure harmful elements with high sensitivity, making them ideal for monitoring such substances and ensuring the safety and security of pharmaceuticals, foods, and other products. Additionally, pharmaceuticals must satisfy the allowable limits specified by ICH Q3D guidelines, where the measurement methods used are specified in the pharmacopoeia of respective countries. The system must also be compliant with quality control standards specified by the FDA and Japanese Ministry of Health, Labor and Welfare. We rely on foods to provide necessary elements and minerals required for supporting life. However, if food contains hazardous elements, they can be harmful to our health. Therefore, analyzing food has become increasingly important in recent years for ensuring the safety of food. One example of this is powdered infant formula which is made with a healthy balance of minerals necessary for infant growth. Regulatory requirements specify the amounts of calcium (Ca), iron (Fe), copper (Cu), and other essential minerals and while limiting hazardous elements like arsenic (As), which has detrimental effects on child development. The ICP-MS is able to quickly measure a wide variety of elements in powdered milk products and other foods, including raw ingredient and finished products. The environment, pharmaceuticals, food and other products can contain elements in different chemical form or oxidation states. Speciation of these is sometimes required. By combining different analytical techniques like LC-ICP-MS, speciation of chemical forms can be achieved with high sensitivity. This is accomplished by connecting the ICPMS-2030 in-line with an LC (Shimadzu Prominence Inert LC) system. 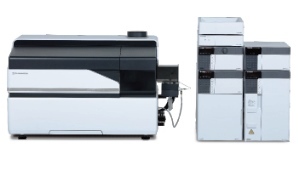 LabSolutions ICPMS TRM (time-resolved measurement) software controls the LC (Shimadzu Prominence Inert LC System) from the ICPMS-2030, allowing for one smooth platform that automatically detects and measures analyte peaks.